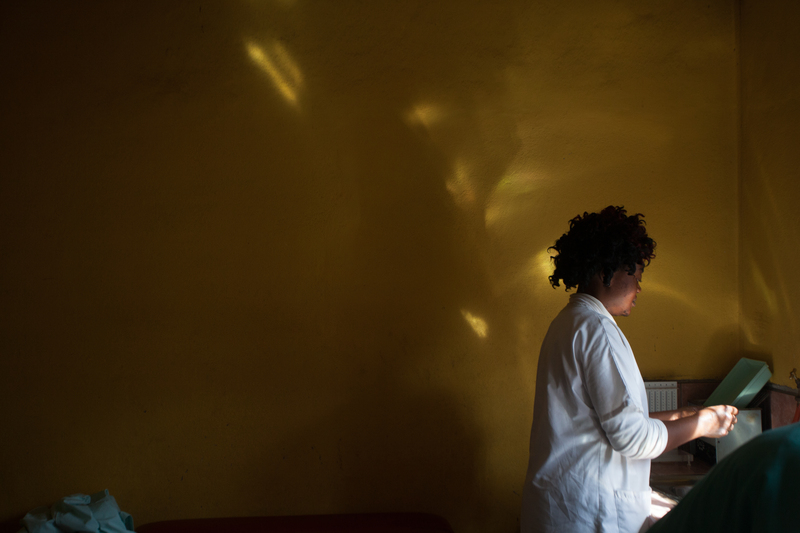 A vernissage to celebrate the opening of The Wound Hospital: Adrienne Surprenan, a series of poignant and thought-provoking images at a specialized medical centre in the mountains of Balanveng, Cameroon, in Central Africa. A graduate of Dawson’s Professional Photography Department in 2012, Surprenant has forged an international career in photojournalism. Her images have been published in Paris Match, El Pais Semanal, Le Monde Diplomatique, Neon, Vice France, La Presse and Le Devoir. In 2017, she was embedded with UN peacekeepers for Vice News, and was named to the 2017 list of 30 under 30 women photographers.